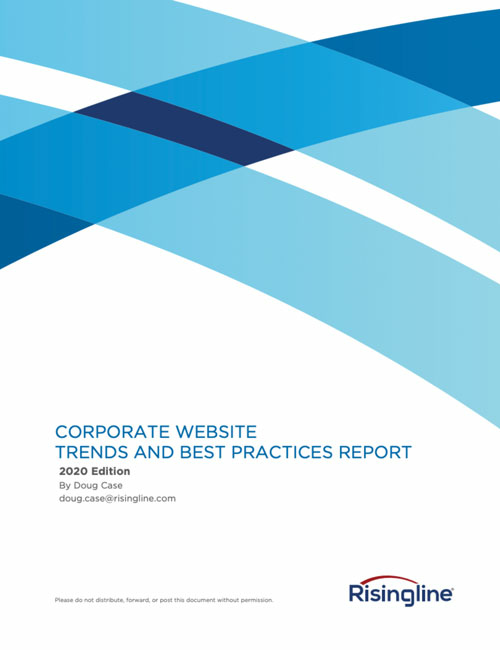 This report provides managers with a high-level overview of key web development best practices and trends so they 1) are better equipped to make informed decisions, 2) are aware of available tools and resources, and 3) gain an understanding of current requirements, risks, and costs associated with their website. Understanding the effectiveness of a website is dependent upon the quality of the comprehensive marketing plan in which it exists. The preeminence of content or achieving your website goals. Developing your organization’s website from your target audience’s perspective. An overview of the fundamental principles for utilizing design to provide effectiveness and credibility to your message. A summary of current web design and layout trends and their advantages. An overview of the increased risk of hacking and the major factors that can affect your website’s security. Understanding the rapidly evolving requirements for website accessibility. The pros and cons of professionally managed websites compared to user managed content management systems (CMS). A primer on the components of SEM including organic SEO and paid SEM.